NARA M1407. The Southern Claims Commission denied these claims by southerners seeking compensation for property loss. They were barred or disallowed for a number of reasons. 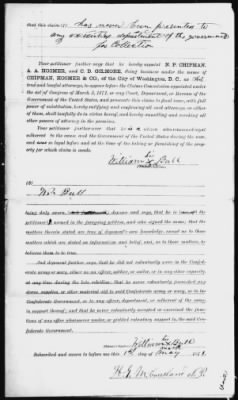 In 1871, the US government established the Southern Claims Commission to address southerners' petitions for compensation of supplies, livestock, and other items taken by the Union troops during the Civil War. More than 20,000 claims were filed. These testimonial files include first-person accounts of how civilians survived the war, detailed circumstances regarding loss of property, and accounts of each family's history and loyalty to the Union cause.